Clean is the ideal event to learn about the latest products, trends, and strategies that will help you improve your business’s bottom line. 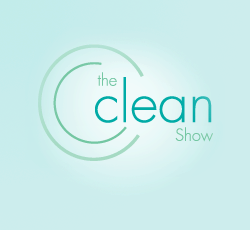 The Clean Show is the main event for the laundering, drycleaning and textile services industry. Clean also attracts leaders from all segments of the industry. The majority of attendees are owners or managers of their companies. This translates into one-on-one access to the industry’s important decision makers and a wealth of valuable knowledge. Clean provides the opportunity to learn new techniques and strategies in seminars delivered by leading industry experts and provides the biggest and most comprehensive display of machines and equipment. Plus, all the ancillary products and services you use in your business will be on display in the expo hall. 75% of attendees purchased a product, equipment, or service at the show or plan on purchasing as a result of the show. Metro Exhibits has been a proud supplier of a wide range of services for exhibitors and companies who participate in Clean. Metro Exhibits provides white-glove, concierge level trade show services for businesses and organizations who are involved with CLEAN and other trade shows, expos and conventions. If you are an event organizer or business, Metro Exhibits provides a wide range of services that will meet any need including trade show display design, rental, sales, logistics, installation, and printing. We have 68,700 sq.ft. of manufacturing and storage capabilities throughout the country including in New York City, New York, Orlando, Florida, and Las Vegas, Nevada. We make sure that you never have to worry about a single aspect of your trade show experience.